Our group photo taken during training time in Cannosa. 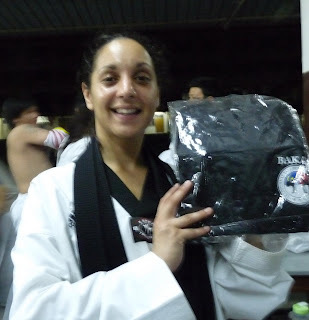 Apparently it was Shontelle's birthday that day after black belt class we all celebrated for her. The ang mo girl standing at the back was Stephy. Utaro and Kevin, 3 dan and 4 dan. Meet Mark, he will be in my opponent later, 2nd Dan.^^ That's all. Haha yea you miss the fun dude lol, I never stay with them but train with them everyday.